Popcorn is a favorite snack of mine and although I'm perfectly fine with a big bowl of regular popcorn drizzled with a little butter, I love to try out various flavors, too. 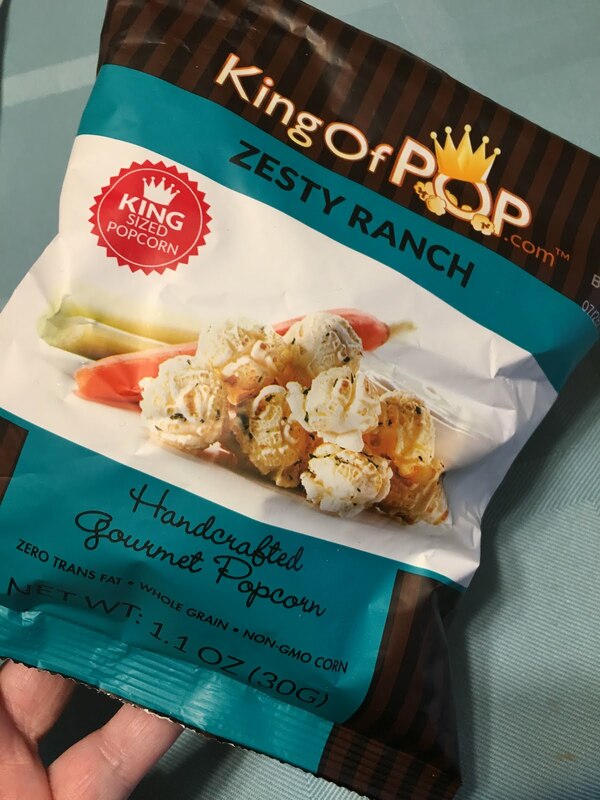 I recently tried out a snack size bag of King of Pop's Zesty Ranch. It's one I would definitely like to snack on again. Sweet covered popcorn is nice, but I prefer salty and savory flavors and this one is a winner. Get more info on how to get your own here.